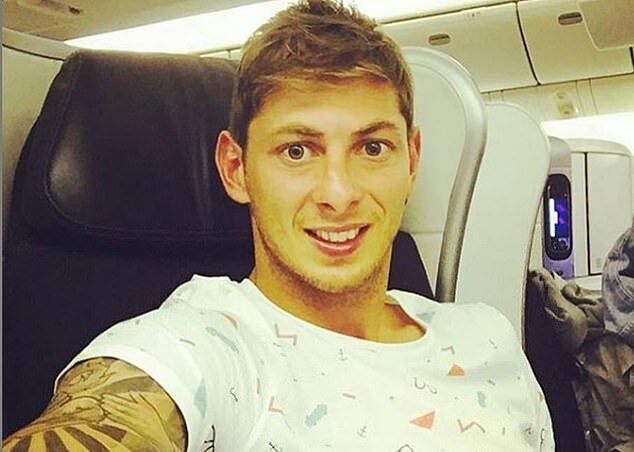 The private pilot who died with Emiliano Sala when his plane went down in the English Channel was ordered by a court to settle a £4,413 bill just days before he was hired to fly the Cardiff City star, it can be revealed. David Ibbotson, 59, from Crowle near Scunthorpe, had already been told to pay off £23,000 worth of debt before he was made the subject of a fifth court order for the additional bill on January 11 – 10 days before the tragedy. The revelation comes amid an investigation into how Mr Ibbotson, who had dropped out of commercial flight training, was hired to make the doomed flight. Private pilots are banned from taking payment for commercial flights. 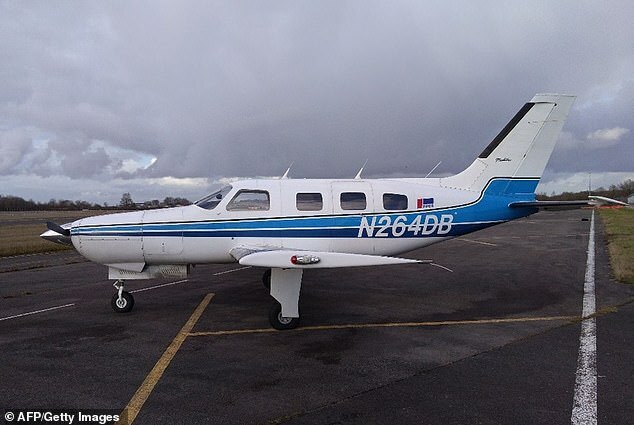 Mr Ibbotson was taking Sala from Nantes to his new club, Cardiff, when he lost control of his Piper Malibu PA-46 light aircraft and it plunged into the sea near Guernsey. It had already been established that Mr Ibbotson faced £23,000 worth of debt repayment orders to companies including Orange, Yorkshire Water, Barclaycard and Bank of Scotland. The additional demand for a £4,413 repayment, seen by The Grimsby Telegraph in newly uncovered court documents, will raise questions over Mr Ibbotson’s decision to take the flight and the terms around which he was hired. 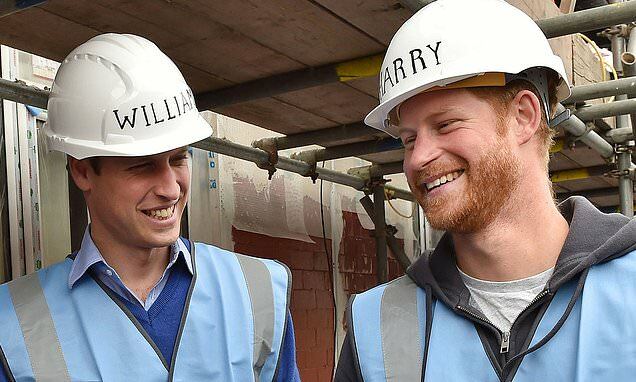 It is not clear who the money was owed to. Sala’s agent William McKay has said he paid for the cost of the flight, although he insists this was done through a regular pilot, David Henderson, who then called Mr Ibbotson. Henderson is yet to comment. The journey would only have been legal if it was organised on a ‘cost-sharing’ basis, which would see the pilot split the costs with the passengers. Following the tragedy, Mr Ibbotson’s family raised more than £250,000 through a GoFundMe appeal to pay for a private search for his body. 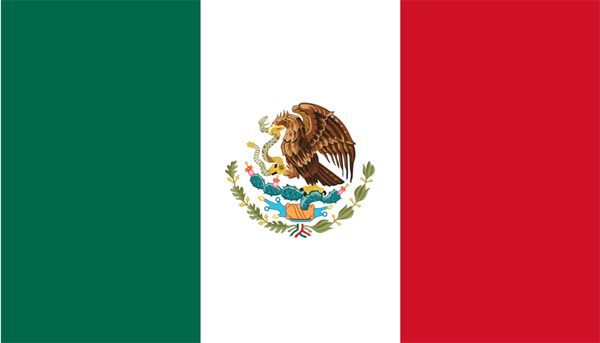 In a last post before the page closed some two weeks ago, the family said: ‘Once all the searches have taken place and all family members have been informed. 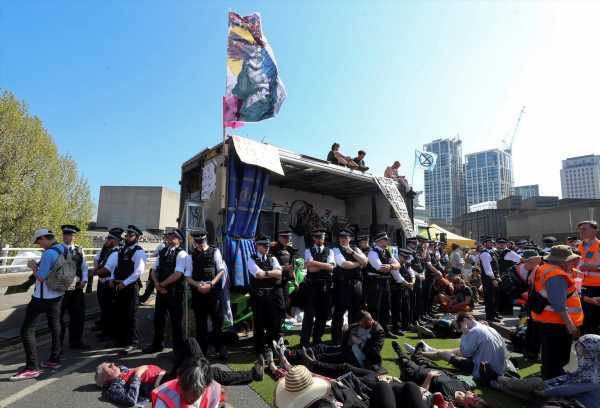 I will ensure a breakdown of who was involved and what we was able to do. Also what the outcome is. 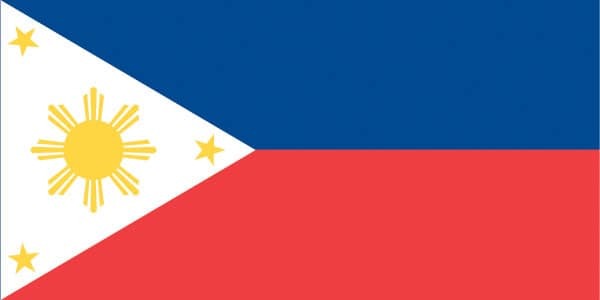 ‘We are all hoping that the outcome is we find my Dad and are able as a family to lay him to rest near to his family. Sala’s body was found after a similar crowdfunding appeal, which raised more than £300,000 for a private search. 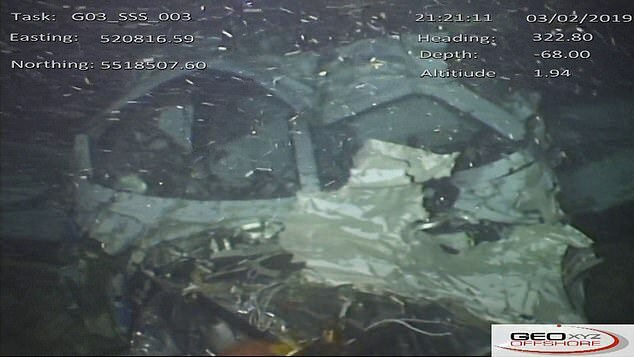 A similar crowdfunding search had raised more than £300,000 which allowed a private marine company to dive on the wreck and recover Sala’s body. It comes as Fifa continue to investigate a claim by Sala’s former club Nantes attempting to force Cardiff to pay the player’s transfer fee. The sum of £15m had been due to be paid in three instalments and Nantes wrote to Cardiff on February 5 requesting the first of them by February 20. The clubs later agreed to extend the deadline but that has now passed without movement on Cardiff’s side. 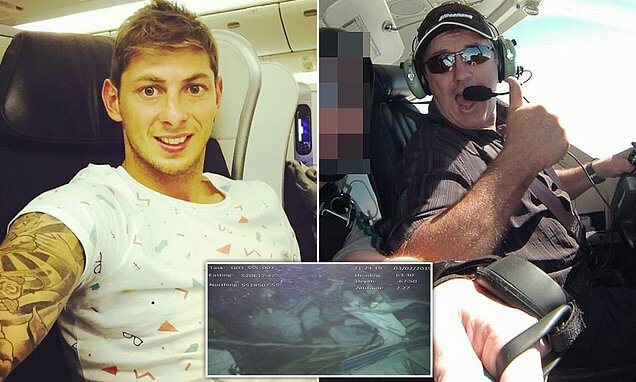 The pilot of Emiliano Sala’s doomed plane plunged sharply moments before the crash and had made ‘basic errors’ before take-off. 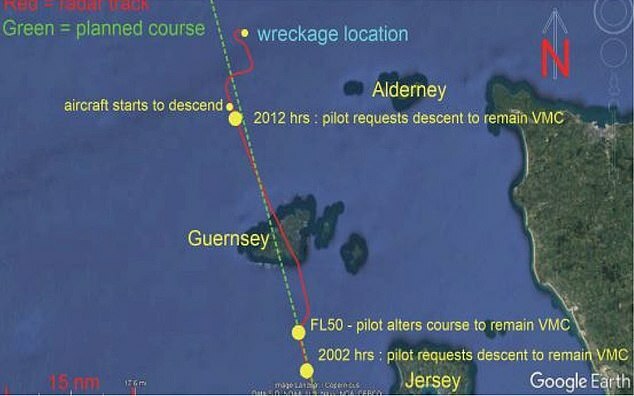 The Air Accidents Investigation Branch (AAIB) has released its interim report into the January 21 disaster off the coast of Guernsey and shows the terrifying final minutes of the doomed flight as the aircraft yo-yoed up and down before smashing into the sea at high speed. 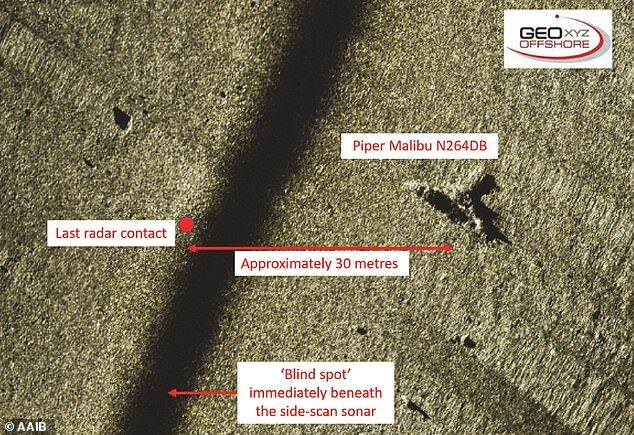 The Piper Malibu was ‘destroyed’ by the impact of the crash and split into three parts with the engine thrown from the cockpit, the wings smashed and the tail and fin missing completely, a robot sent to the seabed has found. 8.12pm: At about 11 nm north of Guernsey the pilot requested a further descent. This was the last radio communication received from N264DB. 8.13pm: The aircraft descended from about 4,800 ft to 4,300 ft, climbed to about 5,000 ft, and then descended again to about 3,900 ft.
8.15pm: N264DB started to make a gradual left turn, which was followed a minute later by a right turn of approximately 180°. During this turn, data from two independent radars (Guernsey and Jersey12) showed the aircraft descend to an altitude of about 1,600 ft at an average rate of approximately 7,000 ft/min. The extraordinary report also revealed that in the last 15 minutes of the doomed flight the pilot David Ibbotson descended sharply four times telling air traffic control he was struggling with visibility. 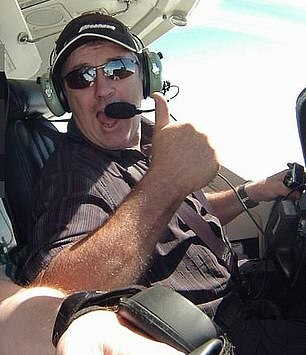 Exactly 24 seconds before the fatal crash he plunged 2,400ft from 4,000ft to 1,600ft at a rate of 7,000ft per minute – equivalent to around 90mph – and then Mr Ibbotson desperately tried and failed to ‘climb rapidly’ before hitting the water. 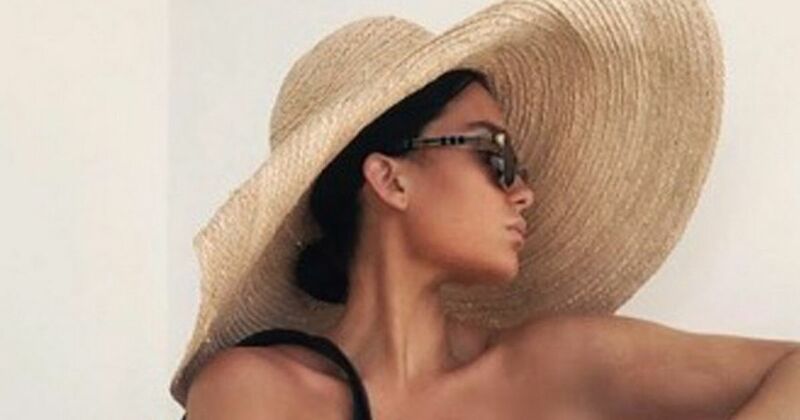 The official probe also revealed the part-time pilot Mr Ibbotson, a gas engineer from Humberside, was not qualified to fly paying passengers with his private licence and the owners of US-registered plane had failed to apply for permission to run commercial flights. 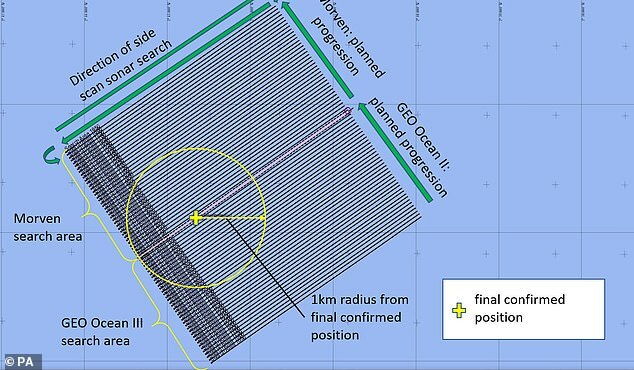 Investigators have said the plane sank to the bottom within 30 metres of losing radar contact 21 miles off the Channel Islands. 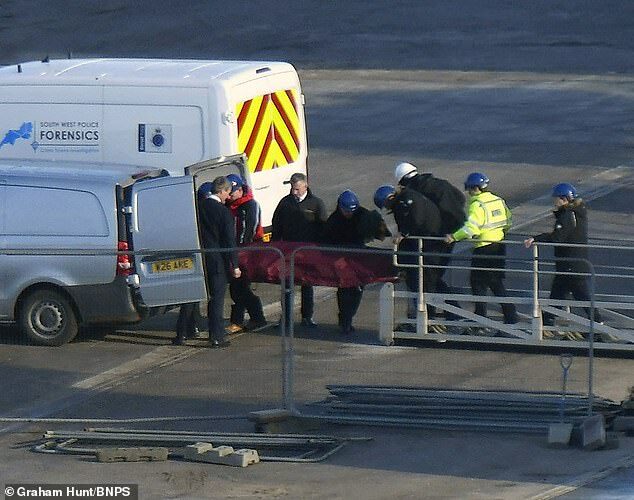 Mr Sala’s body was in the fuselage but the pilot Ibbotson has not been found. The AAIB says it needs to do more work to find the cause of the crash but have already found that the plane failed to fly on a straight path between France and Wales, began to meander and then the pilot suddenly tried to pull up after losing altitude before nose-diving into the sea. MailOnline has previously revealed that the plane’s instruments are prone to freezing and experts claim this problem could have given Mr Ibbotson a false altitude reading. Ahead of the report new documents from France emerged about Mr Ibbotson and showed he made ‘basic errors’ in his pre-flight preparations. Mr Ibbotson didn’t have the qualifications to fly in bad weather but took their plane into a winter storm, a leaked flight plan showed. The report stated that the aircraft took off and initially climbed to 5,500 ft. Later, the pilot requested a descent to remain in ‘Visual Meteorological Conditions’ – a reference to cloud and poor weather. The document said: ‘The last radio contact with the aircraft was with Jersey Radar at 8.12pm, when the pilot asked for a further descent. ‘The aircraft’s last recorded secondary radar point was at 8.16pm… The wreckage of N264DB was subsequently found on the seabed about 30 metres from the position of the last secondary radar point recorded by the radar at Guernsey’. Weather reports on the night of the crash show a cold front coming in with isolated heavy showers. The report said the plane had been made in 1984, and had flown 6,636 hours and the engine had operated for 1,195 hours since an overhaul. 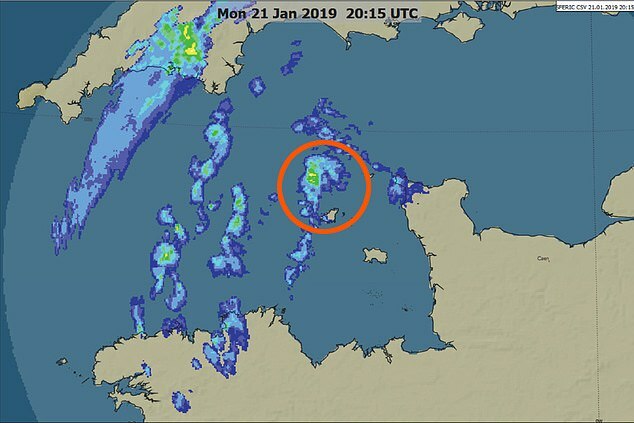 Following publication of the report, a spokesman for the AAIB said: ‘We have gathered evidence from radar, weather reports, video of the aircraft on the seabed and interviews with witnesses. Some operational aspects are yet to be determined, such as the validity of the pilot’s licence and ratings. ‘Our priority now is to go through the evidence, much of which is extensive and complex, so we can piece together what happened between the aircraft being lost from radar and it coming to rest on the sea bed. This will help us understand the potential causes of the accident. 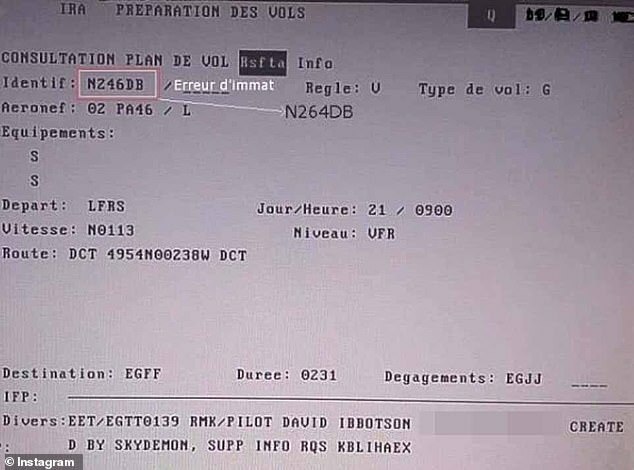 Images uploaded to social media by Argentine Fox Sports journalist Christian Martin today appear to show that in his flight plan Mr Ibbotson made a number of ‘basic errors’ before taking off from Nantes airport in western France. One image shows how Ibbotson apparently incorrectly filled in the plane’s licence number on the form, writing N246DB instead of N264DB. The pilot also reportedly used Visual Flight Rules (VFR) instead of Instrument Flight Rules (IFR). This means his qualifications only allowed him to fly at night if conditions were clear without any bad weather. 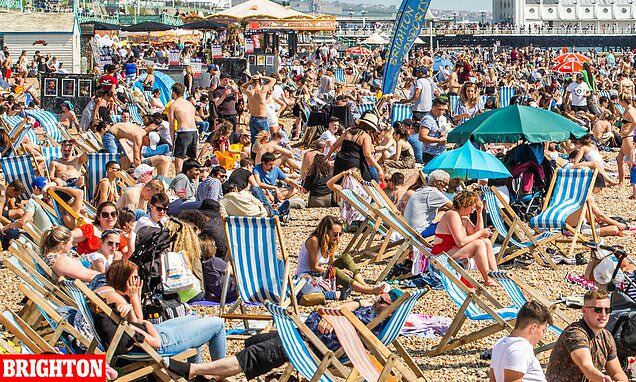 But the plane flew into a storm over the Channel and it is feared the instruments froze before the aircraft crashed into the sea. 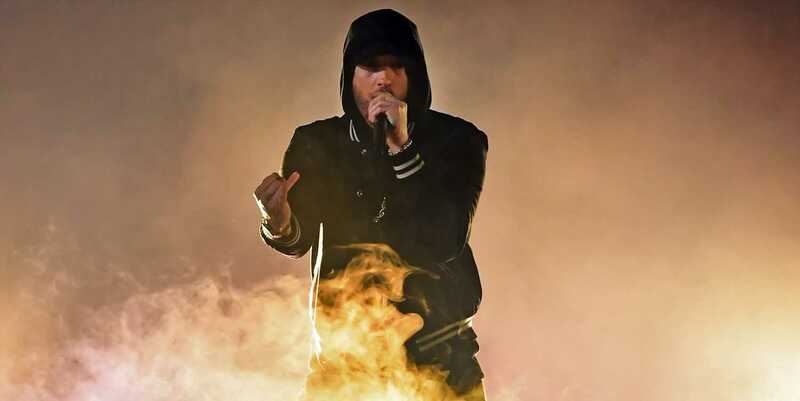 Mr Martin claims the paperwork shows Mr Ibbotson accepted ‘the disregard of flying with instruments, key to flying between clouds without visibility. That night there were many clouds and a cold snap over the English Channel’. Mr Martin described the mistakes as ‘basic errors’. Under VFR, pilots are responsible for seeing other aircraft and avoiding collisions and it requires a minimum standard of weather conditions to be present, known as visual meteorological conditions (VMC), to be allowed to fly. When the operation of an aircraft under VFR is not safe, because the visual cues outside the aircraft are obscured by weather, instrument flight rules (IFR) must be used instead.